Shirley’s new book is available to order and was released on October 1, 2015. 12 Words: Think It – Feel It – Do It is an inspirational, motivational and empowering book that shows you how to make happy, confident, and successful life choices that are easily within your reach. Using fun yet challenging exercises, Shirley teaches you how to maximize your potential and grow into the person you are meant to become. 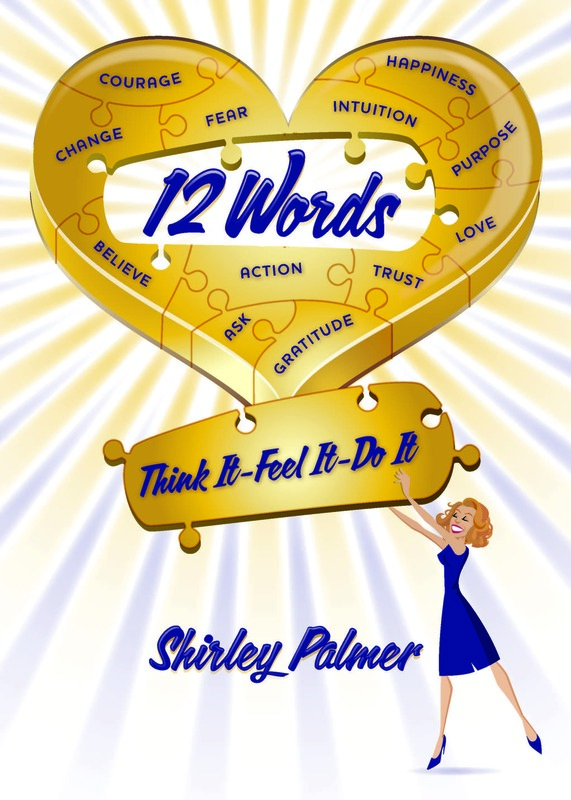 Shirley has truly captured the lessons and the game of life through 12 Words and empowers you each and every day to think it, feel it and most of all…do it! Once you’ve read 12 Words you’ll want to reread it again and again to continue learning from this fabulous book. When you fully embrace the 12 Words philosophy, you will not recognize yourself – you’ll become more heart centered…living every aspect of your life to the fullest, both personally and professionally. The 12 Words: Think It – Feel It – Do It book tour is coming to a city near you! Visiting London, Belfast, Dallas, Palm Desert, LA, San Francisco, Atlanta, Washington DC, New York, Chicago, Toronto, Miami and many more. Shirley would love to meet you! For book signing opportunites please sign up to stay in touch – click here or message us – click here for up-to-date information.